The following are the latest results contributed by HM Courts Service, for cases sentenced by West Sussex Magistrates’ Court sitting at Worthing and South East Hampshire Magistrates’ Court sitting at Portsmouth from October 17 to 20, 2016. Anthony Matthews, 29, of Charles Avenue, Chichester, was given an eight-week prison sentence, suspended for 18 months, with eight-week curfew, electronically monitored, from 10pm to 7am, after admitting harassment, including sending abusive messages, in Chichester between July 2, 2016, and July 16, 2016. He must pay £115 victim surcharge and £100 costs. Martin Barnes, 35, of Flatt Road, Nutbourne, was fined £120 and must pay £30 victim surcharge, £85 costs, after admitting disorderly behaviour while drunk in South Street, Chichester, on October 1, 2016. Malcolm Richards, 75, of Westminster Drive, Bognor Regis, was fined £400 and must pay £40 victim surcharge, £85 costs, after admitting drink-driving (184mg of alcohol in 100ml of blood) in Westminster Drive, Bognor Regis, on August 23, 2016. He was disqualified from driving for 18 months. 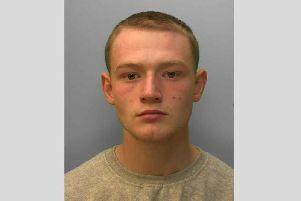 Shane Rishman, 24, of Collyer Avenue, Bognor Regis, was fined £120 and must pay £30 victim surcharge, £85 costs, after admitting drug-driving (10mg Delta-9-THC) in Station Road, Angmering, on August 26, 2016. He was disqualified from driving for 12 months. Billy Sullivan, 38, of Northcliffe Road, Bognor Regis, was fined £100 and must pay £30 victim surcharge, £85 costs, after admitting assaulting a police constable in Bognor Regis on August 6, 2016. He was fined £100 after admitting a second charge of assaulting a police constable in Bognor Regis on August 6, 2016. Jose Labreco, 51, of Albert Road, Bognor Regis, was fined £290 and must pay £30 victim surcharge, £85 costs, after admitting drug-driving (12ug/L of cocaine) on the A259 Flansham on July 18, 2016. He was disqualified from driving for 12 months. He also admitted drug-driving (277ug/L of benzoylecgonine) on the A259 Flansham on July 18, 2016. Shirley Clarke, 70, of Tythe Barn Road, Selsey, was fined £300 and must pay £30 victim surcharge, £85 costs, after admitting using threatening words or behaviour likely to cause harassment, alarm or distress in Chichester on June 26, 2016. Luk Pang, 58, of Priestley Way, Bognor Regis, was discharged conditionally for six months and must pay £15 victim surcharge after being found guilty of driving without due care and attention in Marine Parade and Chapel Road, Southampton, on December 19, 2015, by driving in an area that was temporarily closed following a football match, putting pedestrians at risk and injuring a steward. His driving record was endorsed with three points.